Gilda Radner is a bit before my time watching SNL, my earliest memories are of the time of Eddie Murphy and Joe Piscipo running the late-night comedy staple. Later on, I learned more about the first cast of the show, the OG Not Ready for Prime Time Players and even then Gilda stood out in all the tellings of that era. 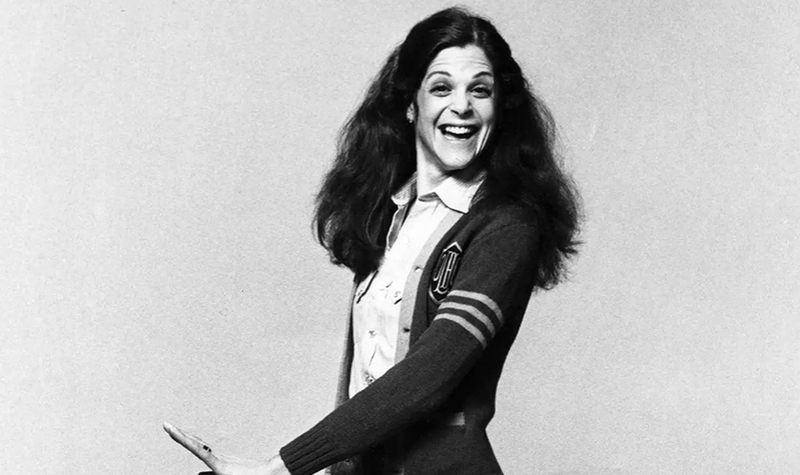 In director’s Lisa D’ Apolito new film Love, Gilda we get the story of the late Gilda Radner told mostly through her own words. The film uses audio recordings along with comedians reading from her diaries to tell her life’s story. The film also has some thoughts from her peers and younger comedians she’s inspired about her work. The film uses old home film footage and picture to visualize these stories of her past. D’ Apolito infuses her film with a lot of heart and love of Gilda in this film. You can feel it as you’re watching the film, how it’s edited and how the pictures of used and focusing on images of Gilda happy. If there was something you could say is a flaw is that it’s a movie CNN Films is involved in and it has that feel of a TV documentary, and one that you’ve probably seen on CNN before like their decade tributes (1960,70s, the 80s, 90, 00s) or History of Comedy or 1968. It feels very informative rather than intimate at times, and also feels like it was edited to include commercial breaks. This doesn’t really harm the piece but it does make one long for a bit more from the film and it’s easy to be distracted from it watching it at home. The interview scenes with comedians Radner’s influenced are good but feel like they could be longer to really get a better taste of the impact she’s had on them. There is a bit more with the people she worked with about her and that’s very important but it feels part of this film was is about her place in the comedy pantheon and it makes a viewer want to see more of what they saw in her work. This might sound like I don’t really like it but that’s far from the case, I enjoyed it a lot. There is a lot that people who didn’t get to see her in her prime on tv breaking new ground each week with comedy. It also humanizes her greatly and gives a window on comedic greats that aren’t really around anymore like John Belushi and her husband Gene Wilder in that time. Love, Gilda is a solid piece of documentary filmmaking but it could be great with some more space to breathe and showcase more of Radner's impact.